Summary: We must stop conflating expenditure in one fiscal area with some notional corresponding source of income for the Treasury. We should simply agree what the country needs to spend in various areas and then manage our tax system so that each of us pays what is deemed to be a fair amount. No means tests. Simply an accepted assessment of what each and every individual and company can reasonably be asked to pay in taxation based on their income and wealth. One of the mantras of the Tory manifesto and their policies for many years is that everything has to be paid for. 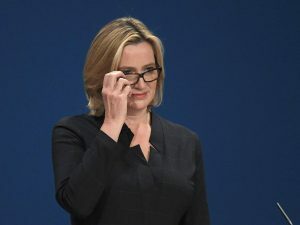 Amber Rudd on the BBC Debate Last Night (31 May) accused Jeremy Corbyn of relying on a magic money tree to fund the Labour manifesto programme. There is in fact a magic money tree and it created £435 billion since the financial crash. It was used for quantitative easing (QE). All that money went to the banks and not much of it provided a significant benefit to the wider UK economy. This source of funds (the Bank of England printing money) can be used as a short-term stimulus to invest in a country such as the UK where investment has fallen grievously behind where it should be. If it is used excessively then it can be damaging to an economy by stoking inflation. At some level it has to be true that expenditure needs to be balanced at least in the long term by income. What is not true is that the source of income has to be identified each and every time any new expenditure is identified. The right-wing press justifies the “Dementia Tax” as being a way to make sure that the wealthy do not get away too lightly since they are generally assumed to have lots of money with which they can pay for care in their old age. We shouldn’t be approaching a subject like this or any other aspect of our economy in this way. The government needs to set a comprehensive budget consisting of expenditure for all the things that it feels it is right and proper for government to provide (money for the NHS, social care, schools, managing immigration, prisons, police, in fact everything). We do not need to worry about funding privatisation. Here government borrows money to purchase an asset just the way that a private individual would borrow money to purchase a home. The government will have to pay interest on that loan. At present those interest rates are very low indeed (1.5% for a 30 year loan) and so this is a good time to invest. That investment has to be good enough to fund the interest payable. At 1.5% very few of the organisations to be privatised could fail to generate at least that kind of net income. Government then will look at all the potential sources of income (income tax, VAT, national insurance, corporation tax, asset taxes including taxation of housing, recovery of unpaid avoided and evaded tax, etc). The proportion of money to be extracted from each of these sources should be agreed to be as reasonable and proportionate as the general population feel is fair. The government must make sure it is balanced and does not provide a strong disincentive against growing the economy. Otherwise that is all it needs to do. Finally the income and expenditure needs to balance approximately. On a year-to-year basis it probably won’t but over the longer term (the economic cycle) then it should be got close to being okay. We can see how that works for the National Health Service. Rich and poor, everyone gets sick, anyone can suffer from dementia or cancer or disability. We all need looking after and the NHS is the system we use to look after everyone. However a founding principle of the National Health Service has been that each and every one of us should be provided with satisfactory health services from cradle to grave. This is not an idle slogan. It is a principle that has provided an extraordinary underpinning of security in the lives of everyone in this country. There is absolutely no suggestion that were one to contract cancer that we would not be treated fully, and free of charge. However contracting dementia or finding oneself in need of social care is being treated utterly differently by the Tories. Governments for many years have pledged to treat medical illnesses and mental illnesses in the same way but have significantly filled to do this. The cost of a proper mental health care system is not great particularly when compared to medical costs. In mental and social health care there are no exotic and expensive scanning machines, no complicated surgical procedures taking many hours with a large theatre staff. Most expenditure is made up of manpower to provide the care that we need, often given by relatively less well-paid people without a great amount of training. The money to pay for this treatment must come from the various sources of taxation described above. The rich will not have it disproportionately easy nor the poor find it excessively generous. It will be proportionate to the ability to pay. In the same way providing treatment, care, benefits, every aspect of life that requires government involvement is managed in a way that is equitable and above all truly fair to all.